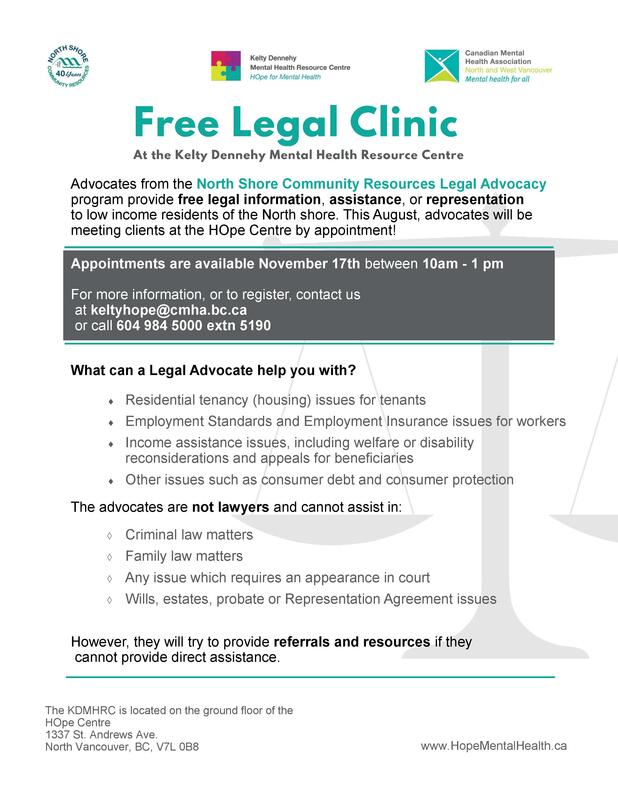 Join us on November 17 from 10 – 1 at the Kelty Dennehy Mental Health Resource Centre for a FREE Legal Clinic, with advocates from the North Shore Community Resources Legal Advocacy program. These advocates will be taking appointments to offer free legal information, assistance, or representation to low-income North Shore residents. If you would like to make an appointment to see an advocate, please contact the Kelty Dennehy Mental Health Resource Centre at 604-984-5000 ext. 5190 or at keltyhope@cmha.bc.ca.